The Honourable David Lametti was a Full Professor in the Faculty of Law at McGill University specializing in property, intellectual property as well as private and comparative law. He was also a member of McGill University's Quebec Research Centre of Private and Comparative Law and a co-founder and member of the McGill Centre for Intellectual Property Policy. He served as the Associate Dean (Academic) of the Faculty of Law, McGill University, from 2008 to 2011. Multilingual, Minister Lametti has taught at the university level in French, English, and Italian. In addition to his responsibilities as a professor, Minister Lametti was a member of McGill University's Senate and a Governor of the Fondation du Barreau du Québec. He was also a competitive soccer coach in two Montréal leagues for six years, and a member and president of the governing board for his children's school. Minister Lametti holds a Bachelor of Arts in Economics and Political Science from the University of Toronto, a Bachelor of Civil Law and Bachelor of Laws from McGill University, a Master of Laws from the Yale Law School, and a Doctor of Philosophy in Law from Oxford University. Prior to starting his doctoral studies in law, he served as a Law Clerk to Justice Peter deCarteret Cory of the Supreme Court of Canada. Minister Lametti and his wife Geneviève Saumier have three children: André, Gabrielle, and Dominique. 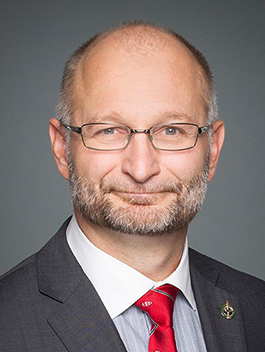 Minister Lametti served as a parliamentary secretary from 2015 until 2019, when he was appointed Minister of Justice and Attorney General of Canada.